Board members present: David Scalley, Bonnie J. Moroney, Paul Bussiere. The meeting was called to order at 7 p.m.by Chairman Scalley. The Board announced the approval of bills and signing of manifests. Selectman Moroney made a Motion to approve the minutes of 12/14/2015 as written and Selectman Bussiere seconded. The Motion passed unanimously. Selectman Bussiere made a Motion to approve an Abatement for Greg & Lori Hogan at 480 Route 3 South due to the Police Station Lease. Motion was seconded by Chairman Scalley. The Motion passed unanimously. Selectman Bussiere made a Motion to approve a Current Use Application by the Bragg Family Trust. Motion was seconded by Chairman Scalley. The Motion passed unanimously. Selectman Bussiere made a Motion to approve the 4th Quarter Water Warrant. Chairman Scalley seconded the motion. The Motion Passed unanimously. The Selectboard was presented with a list of funds from 2015 to be encumbered. The Fire Dept/Ambulance lines were reviewed. Selectman Bussiere made a motion to accept which was seconded by Chairman Moroney. The Motion passed unanimously. The Police Dept. lines to be encumbered were reviewed. Selectman Moroney made a motion to accept which was seconded by Selectman Bussiere. The Motion passed unanimously. Highway, Water and Recycle lines to be encumbered were reviewed. Selectman Moroney made a motion to accept which was seconded by Chairman Scalley. The Motion passed unanimously. Chairman Moroney brought up the Employee Manual. Changes had been made but a vote had not been taken. Selectman Bussiere made a Motion to approve the changes as written. Selectman Moroney seconded and the Motion passed unanimously. �To see if the Town will vote to raise and appropriate the sum of $24,000.00 (Twenty-Four Thousand Dollars) to be placed in the Property Revaluation Capital Reserve Fund established in 2013 for the purpose of completing a total revaluation of the Town in 2017 � as mandated by the State at five year intervals. This is the third installment to attain the total cost of $120,000 (One Hundred Twenty Thousand Dollars) for the total process as quoted by our appraisal company. Selectman Moroney made a Motion to Recommend, Chairman Scalley seconded and it passed unanimously. �To see if the Town will vote to raise and appropriate the sum of $12,000 (Twelve Thousand Dollars) to fund Planning Board, Zoning Board of Appeals and the Property Inspector-Code Enforcement Officer Salary. And further to authorize the withdrawal of such amount from the Planning Special Revenue Fund established in 2006 for that purpose. No money to be raised from new taxation.� Selectman Moroney made a Motion to Recommend with a second from Selectman Bussiere. The Motion passed unanimously. �To see if the Town will vote to authorize the Carroll Conservation Commission to retain the unexpended portion of its 2016 appropriations as authorized by RSA 36-A:5, said funds to be placed in a conservation fund account held by the municipal Treasurer (RSA 41:29). Chairman Scalley asked what does the Conservation Commission do? Chairman Moroney advised they were active with mapping of wetlands and worked with Forestry. They also worked with Ammonoosuc River Committee and keep track of some conservation land on Route 3 North. Selectman Moroney made a motion to accept which was seconded by Selectman Bussiere. The Selectmen voted 1 in favor and 2 opposed. Selectman Bussiere made a motion to sign the Public Works Mutual Aid Agreement. Chairman Scalley seconded the motion and it passed unanimously. Selectman Moroney announced that the Budget Committee will meet January 6 to go over warrants, additional changes to revenue etc. The Public Meeting will be January 13 at 7 p.m. and will continue to January 14 at 7 p.m. if needed. Chairman Scalley put forth the following Warrant Article: �To see if the Town will vote to raise and appropriate the sum of $15,000 (Fifteen Thousand Dollars). Said monies shall be used to pay for a detailed design and engineering plan for the renovation of the Twin Mountain Town Hall, Twin Mountain Fire Department and Twin Mountain Police Complex located at 92 School Street. The total amount to be taken from the New Land & Building Capital Reserve fund. No new money will be raised from new taxation." Chairman Scalley said there was a typo and it shouldn�t say renovation, it should say new complex. Selectman Moroney said we�ve already paid for a design to be done. 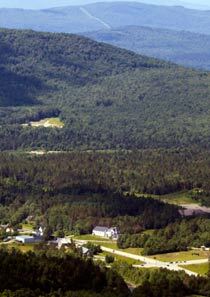 Suggestions were made to correct the name from Twin Mountain to Carroll and better define the location as the wording is confusing. Chairman Scalley said he would re-write the article and submit again. Selectman Moroney repeated that there are already designs and engineering plans and doesn�t believe it needs to be done again. Chairman Scalley tabled the discussion until it�s rewritten. The next meeting will be January 4, 2016 at 7 p.m.
As there was no further business, the Board was polled to go into non-public session, per RSA 91-A-3 for personnel at 7:35 p.m. Selectman Bussiere, yes, Chairman Scalley, yes, Selectman Moroney, yes. At the close of non-public session at 8:30 p.m., Selectman Moroney moved to return to public session. Selectman Bussiere made a motion to sign a contract for Prosecutor for the Police Department with a not-to exceed $12,000 amount. Selectman Moroney seconded the motion. It passed unanimously. Chairman Scalley made a motion to �Ratify the settlement of claims by Carol O�Leary as proposed and recommended by the PLT and counsel.� The motion was seconded by Selectman Bussiere and the Motion passed unanimously. As there was no further business, Selectman Moroney made a Motion to adjourn the meeting and Selectman Bussiere seconded. The Motion passed unanimously. Chairman Scalley declared the meeting ended at 8:37 p.m.